Hello, friends! Ready for some more trip report fun? Great! 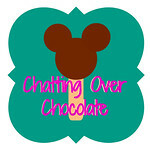 Can't wait to share more with you today! 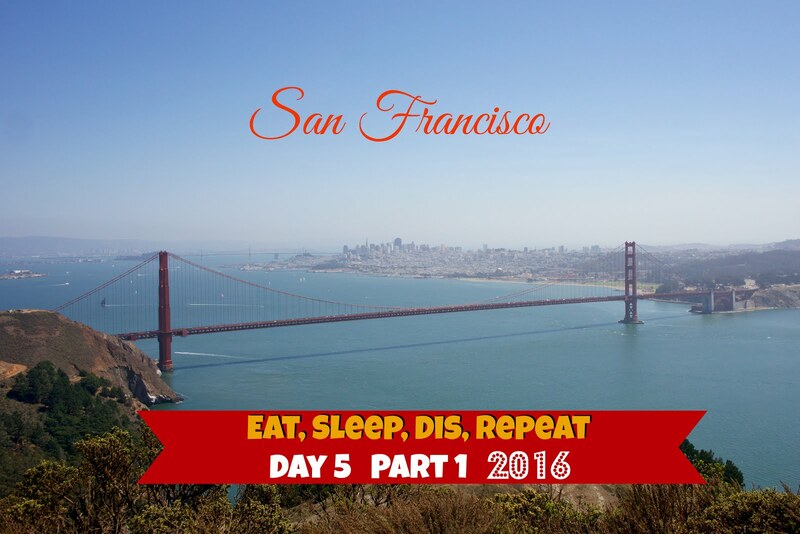 The only thing that made leaving Yosemite National Park that morning easy was my curiosity about our next destination, San Francisco! 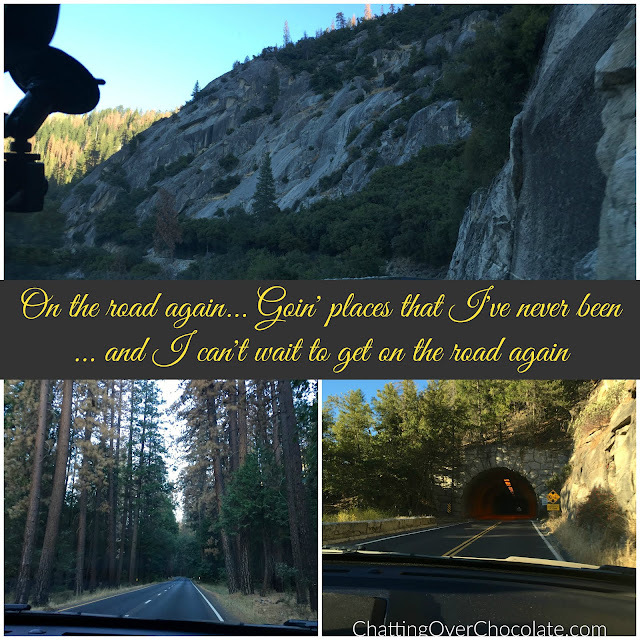 We had never been and I was excited to see what adventures awaited us next! 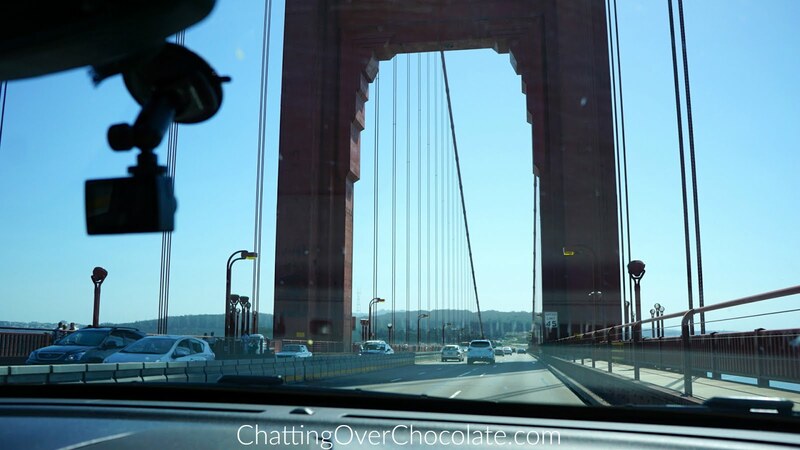 We hopped in the car and set out to trade mountaintops for cityscapes and bay views. 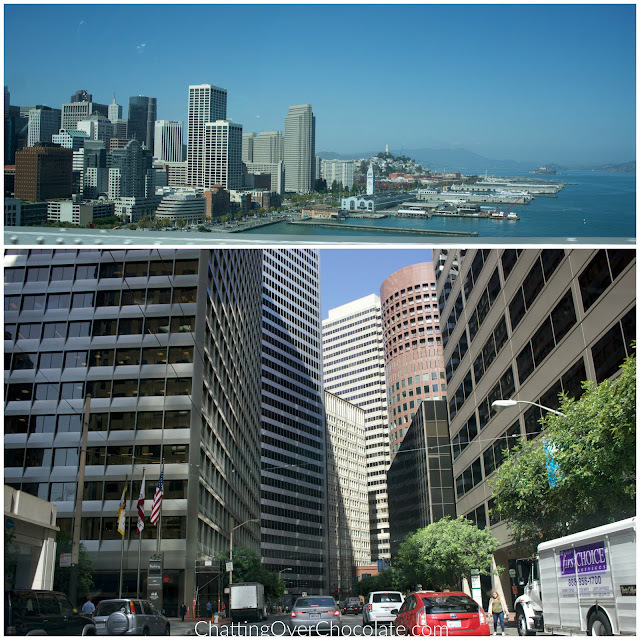 Upon arrival to San Francisco we entered the fast paced hustle and bustle of the financial district. Boy, is it hopping there! 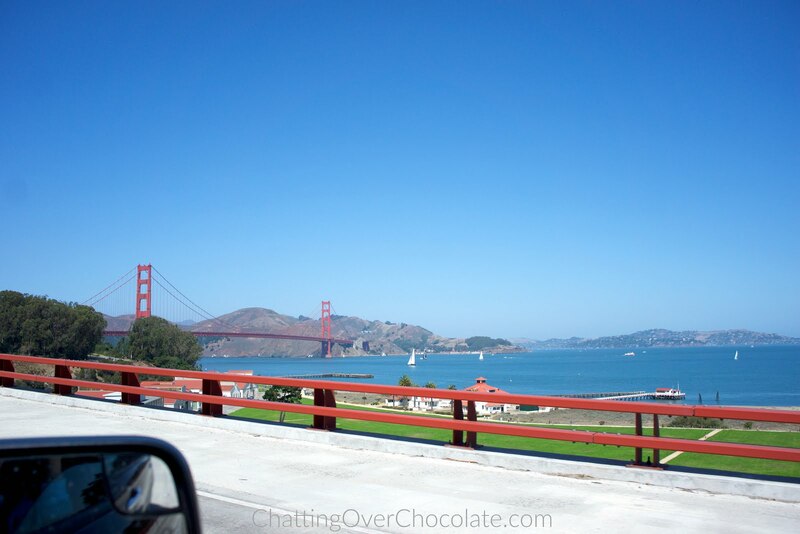 One thing I loved about touring this diverse state were days like this. Just that morning we'd been surrounded by breathtaking views of rugged mountains and towering trees and by afternoon we were in a completely different setting, the heart of a lively city! My excitement grew and grew! 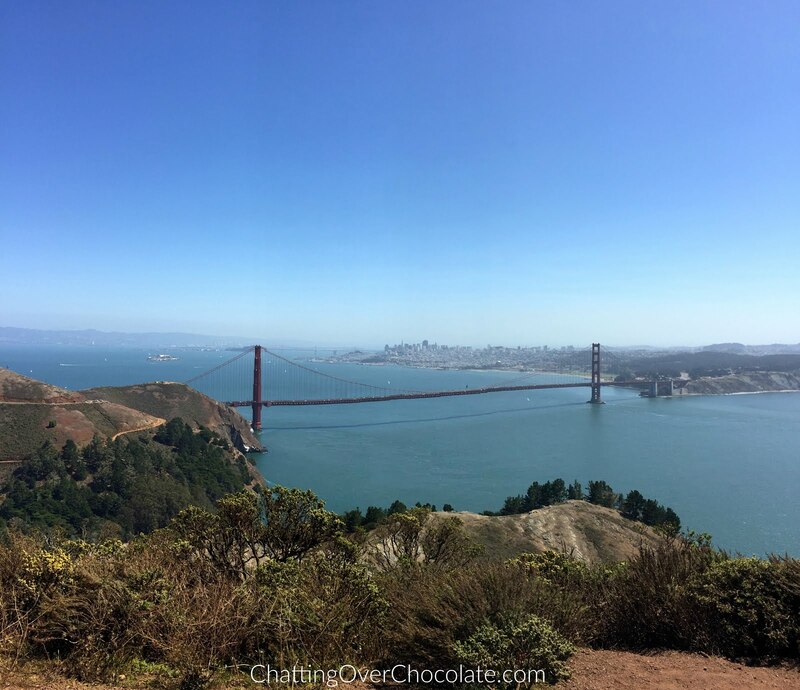 Check out that view! The Golden Gate Bridge was even more beautiful to see in person than I'd anticipated! 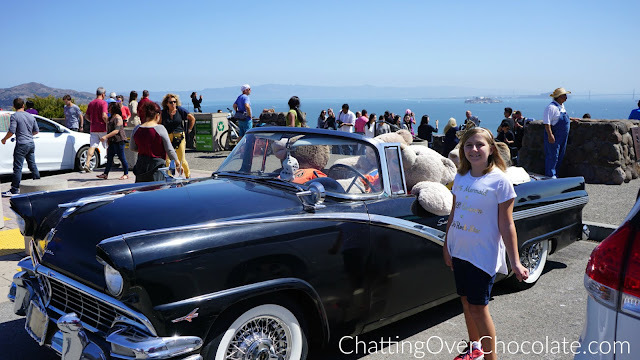 A classic car FULL of teddy bears?! How could we not take a photo with that? 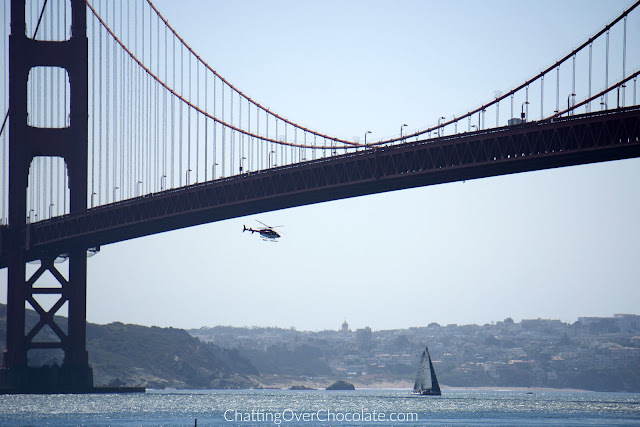 Jason, being the awesome husband he is, scoped out not just one, but three different areas for us to view the Golden Gate Bridge from! We could not have asked for a clearer day. It was perfection! 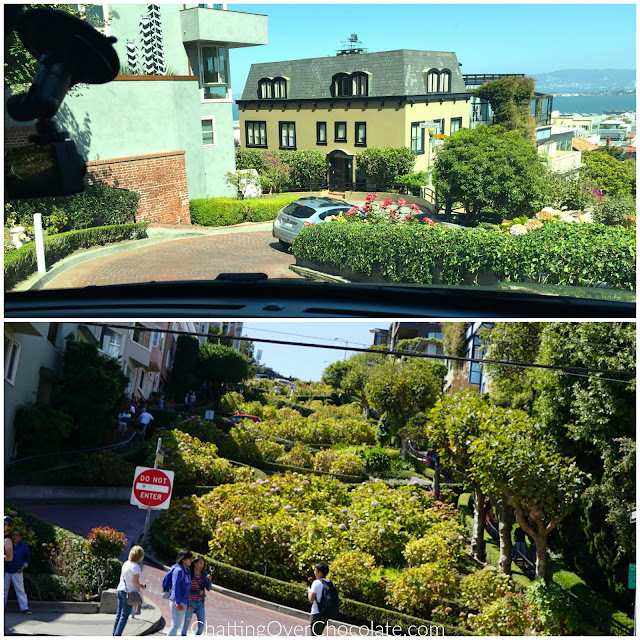 We couldn't resist traveling down San Francisco's crookedest street! 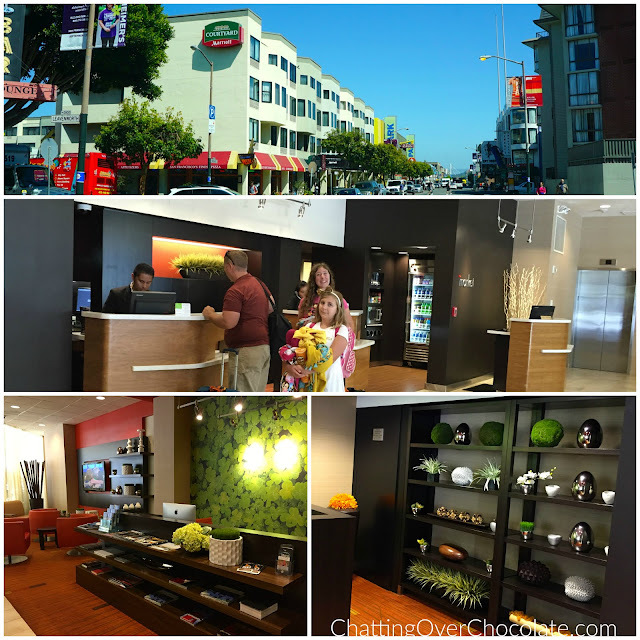 Time to check into our hotel and then check out more of this city! 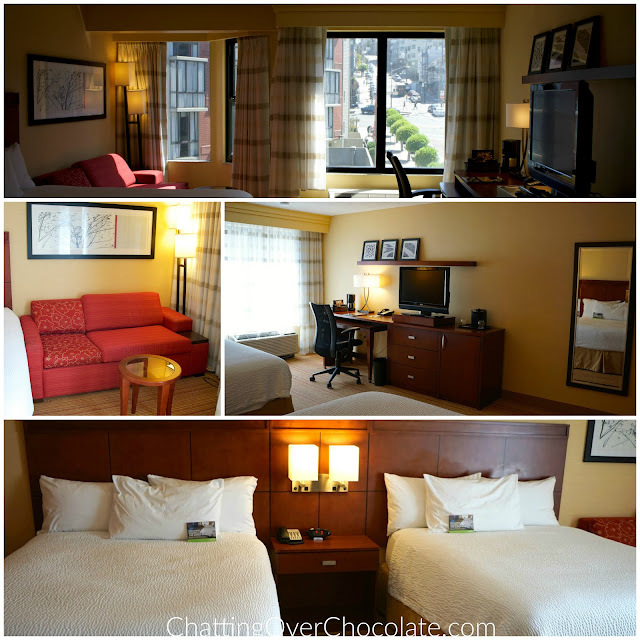 We stayed at a Courtyard by Marriott and could not have been happier with that choice. 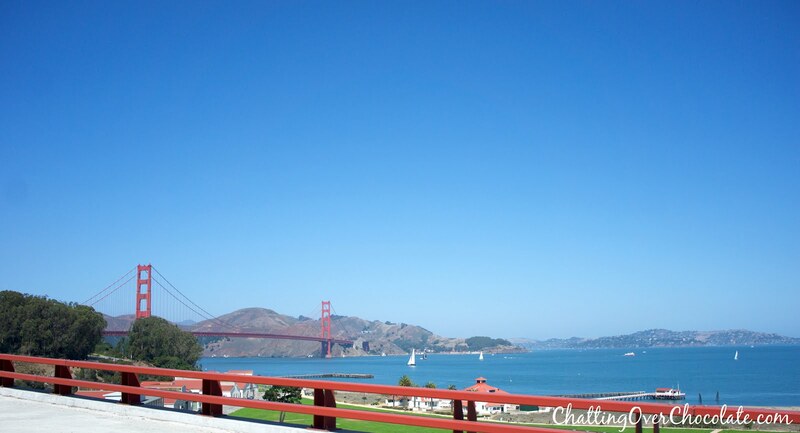 It was nice, clean, had a city view from our wall of windows, and best of all, it put us within walking distance of everything we wanted to see and do within that part of San Francisco! We basically dropped our bags, snapped some room pics, and were off again to explore! 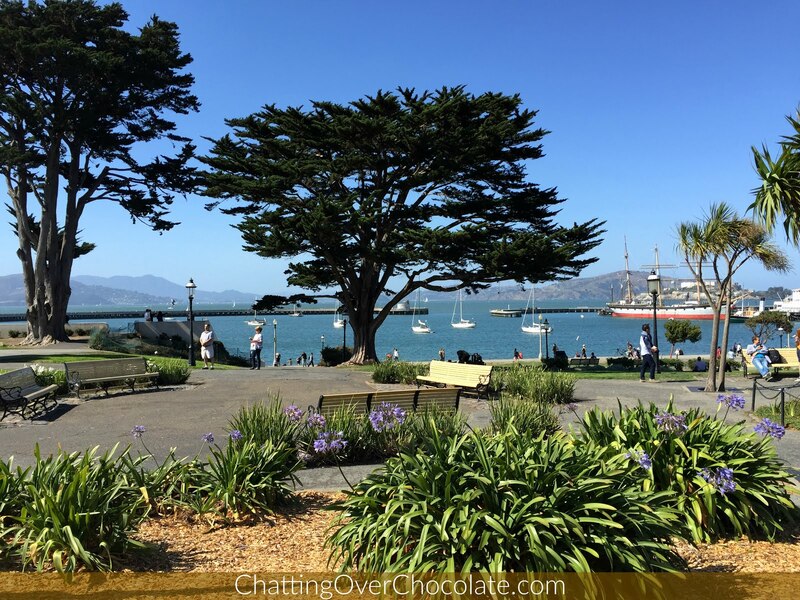 It was an absolutely glorious day outside! The sun was shining, there wasn't a cloud in the sky, and this view had me instantly swooning. What awaited us across the street had me giddy and nearly drooling! 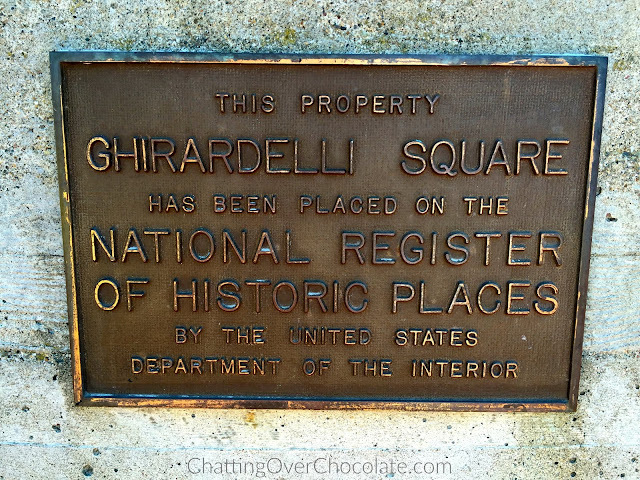 Welcome to Ghirardelli Square, home of the original Ghirardelli Ice Cream & Chocolate Shop! 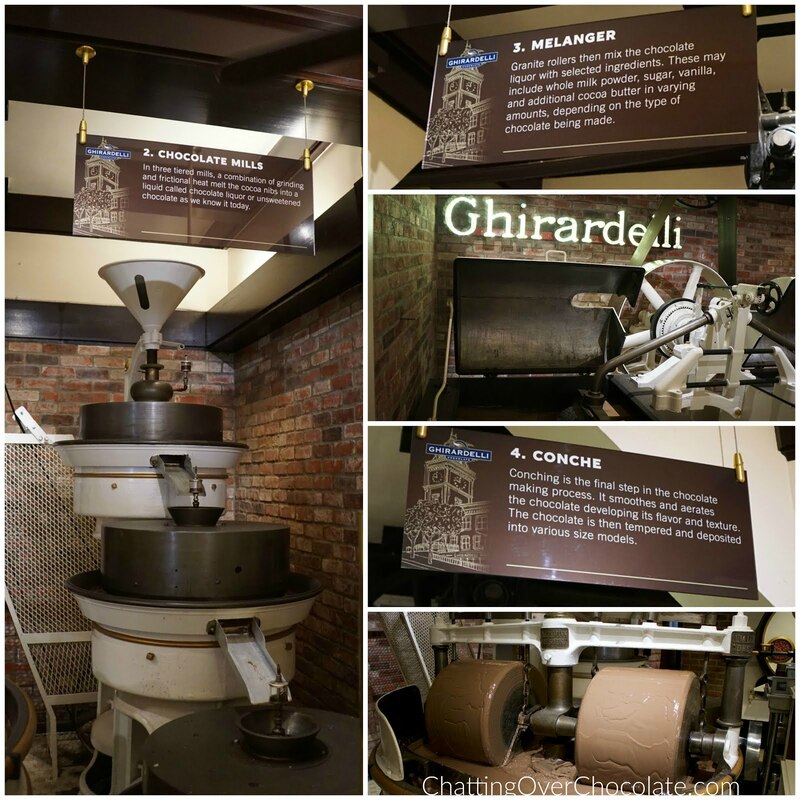 For a big time fan of chocolate, visiting this historical Ghirardelli gem was a real treat! 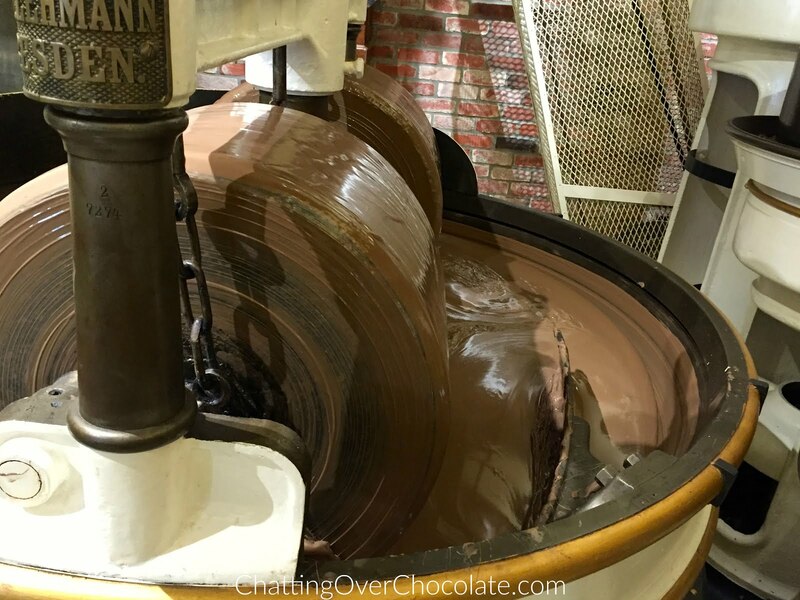 I felt like I'd won a golden ticket watching this chocolate flow! Well, that my friends is a sweet spot to break in the middle of day 5! 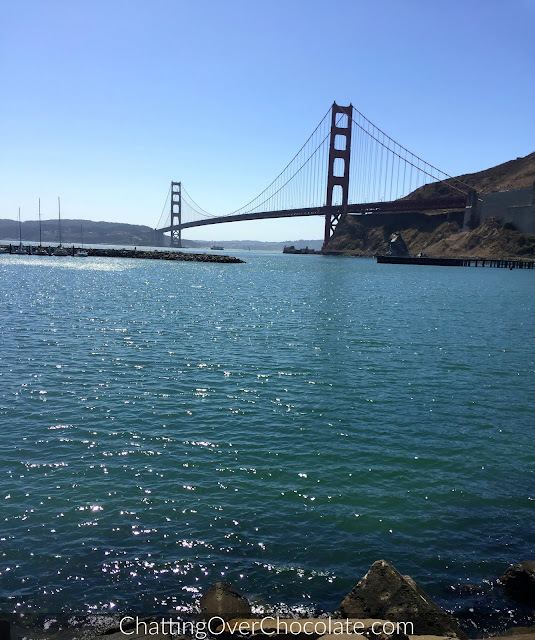 Next week I'll show you around Fishermans Wharf, take you along for our first trip to In-n-Out Burger, and more! 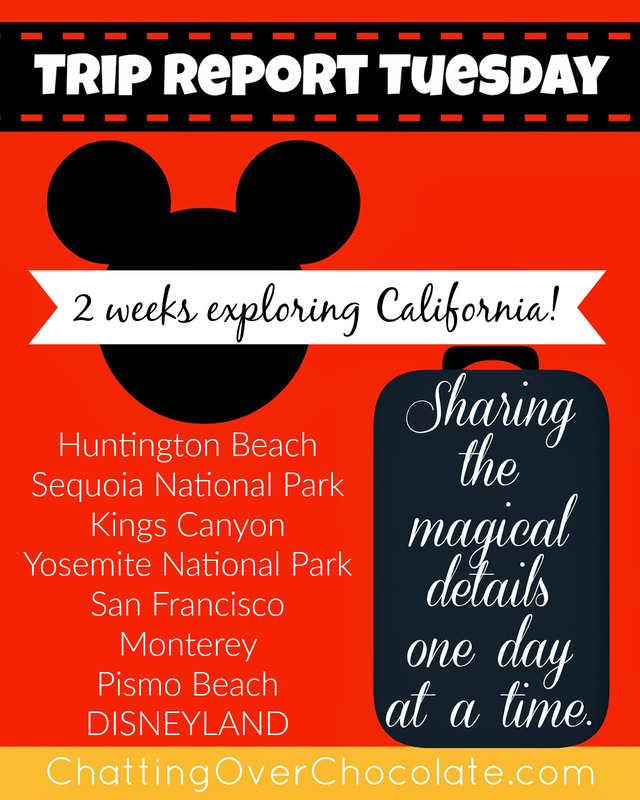 Hope you'll be back for more virtual vacation storytelling to come! 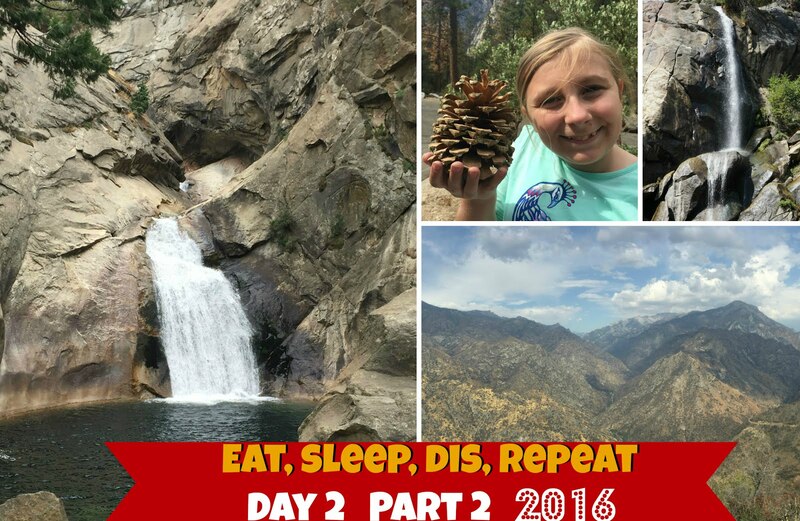 Wanna see video footage from this day of our trip? Head on over to my family's YouTube channel, Eat, Sleep, Dis, Repeat! 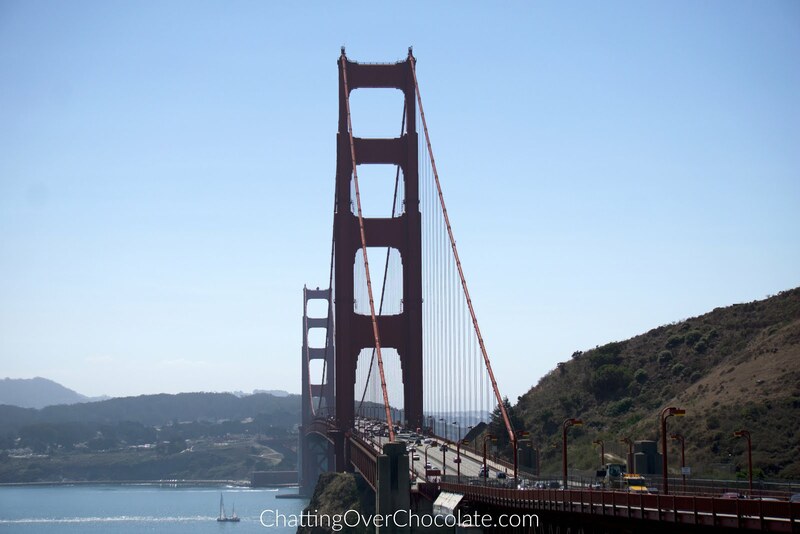 The bridge and the Ghirardelli alone would have made the whole thing worth it for me. What an amazing trip this was. I'd love to repeat it with my crew. Oh my goodness! Those views!! While I'm not a fan of being ON bridges, I absolutely LOVE admiring them from solid ground! Absolutely stunning! 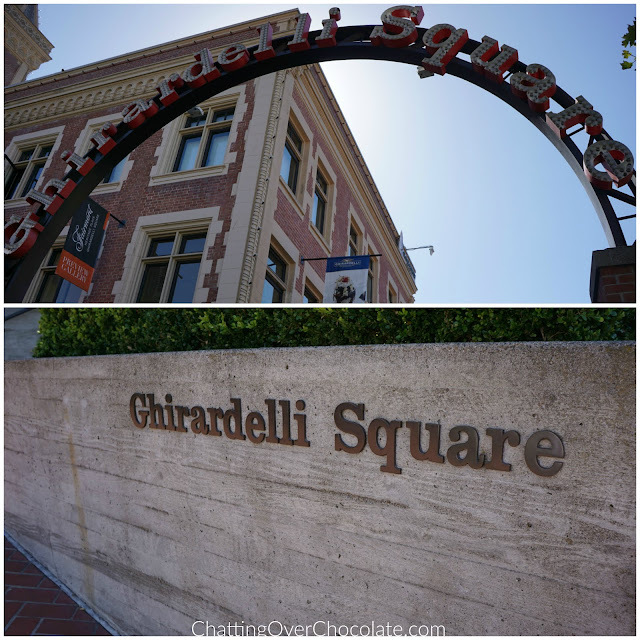 And you were really across the street from Ghirardelli?! No way! How PERFECT!!!!! 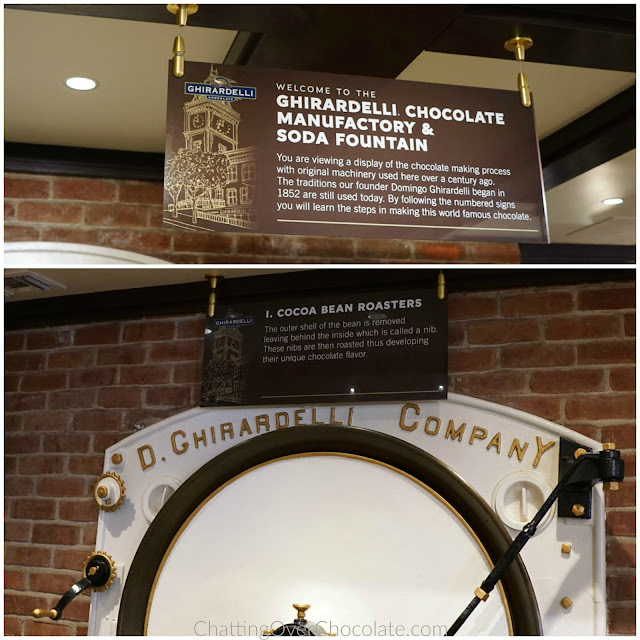 Ghirardelli , sign me up! What great views of the bridge! 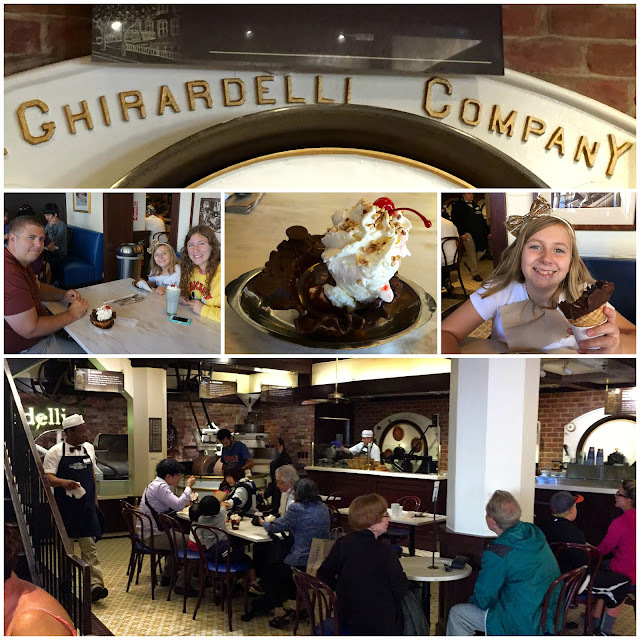 That Ghirardelli stop looked so fun and beyond delicious!! Yum!! 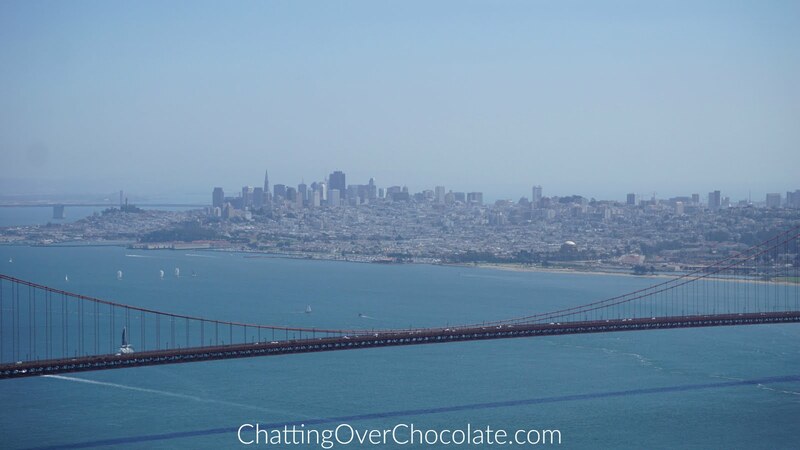 San Francisco is definitely in my top 5 cities in the world. What a great day! 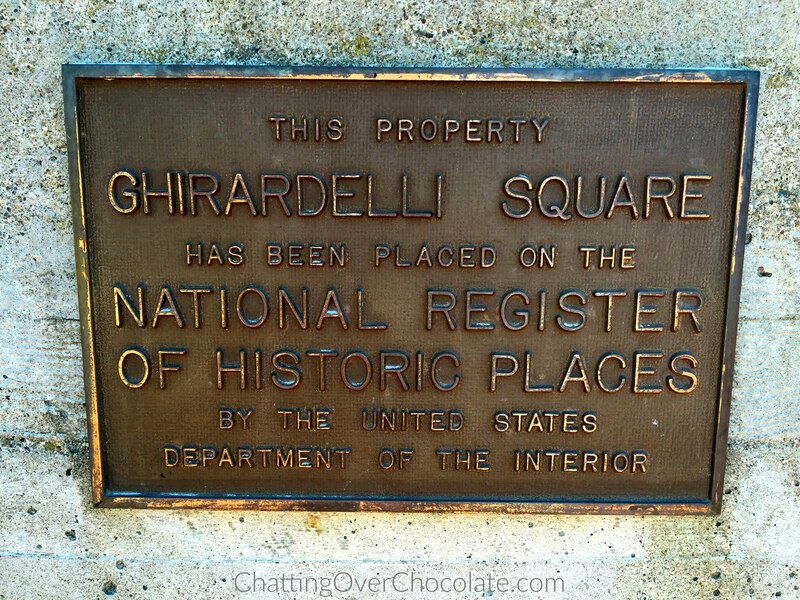 Now I'm craving some Ghiradelli. That teddy bear car is fantastic, too. San Fran is on our bucket list absolutely hands-down and seeing these pictures of the bridge and the chocolate are enough to make this girl giddy! We will get there someday and I am so saving this post because I know you know how to make a trip the best ever! Hugs on your day sweet friend! I am so jealous! 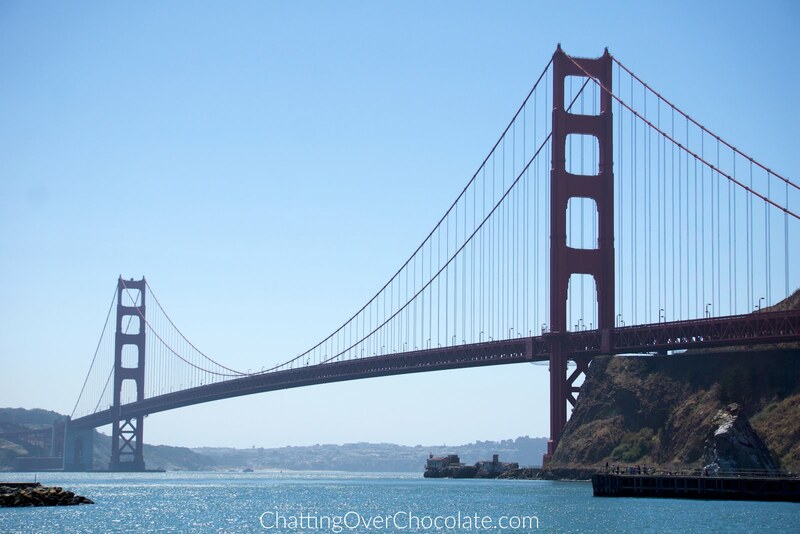 I've never been to the west coast and I really want to go. I need to just plan it and do it! What beautiful weather you had!! I have never been to San Francisco, but I'd definitely like to visit someday. Gorgeous view! I can only imagine seeing the bridge in person..definitely on my list. Such a fun trip.